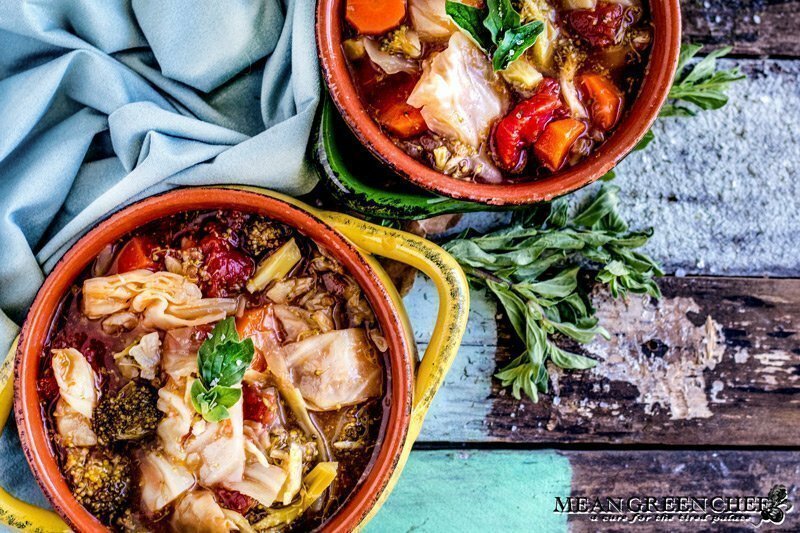 Healthy Robust Cabbage Soup, a full-flavored bowl that’s healthy and light. Super easy to prepare and totally versatile you can add more veg or even some roasted chicken if you want to! You’ve probably seen a lot of cabbage soup recipes for weight loss due to the fact its low calorie. 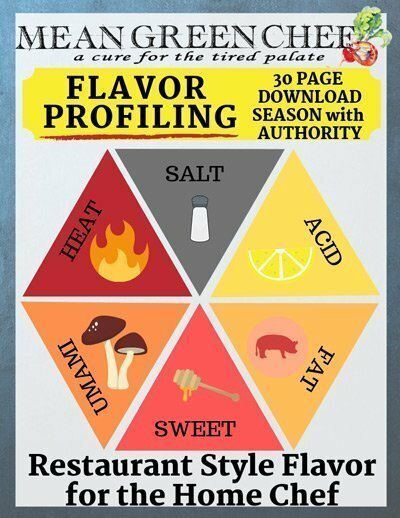 Which is a great benefit, but we also love the full-on taste from sauteing which really helps to develop a serious punch of flavor! Toss in more vegetables for extra flavor and texture. Corn, sweet bell peppers, cauliflower, green beans, etc. If you add spinach, kale or any other leafy greens add them at the end and allow to cook for about 5 minutes so they don’t get mushy. You can also double down on the vegetarian add ins, extra firm tofu, white beans, black beans, rice, or potatoes are all great options. If you want a thicker stock. Add tomato paste after browning the veg and stir and cook for an additional 5 minutes, this will also level up the flavor. If you want more of a chophouse option then add some leftover roasted chicken, grilled sirloin or ground hamburger meat for a deconstructed cabbage roll soup. Add white wine to deglaze the pan after sautéing the vegetables to add another layer of flavor. Shake in some hot sauce or sriracha for a little kick! How long can I store cabbage soup in the refrigerator? After cooling completely seal in an airtight container and store in the fridge up to 5 days. If you make a double batch of this soup, you can freeze the leftovers for a quick and easy weeknight meal. Be sure to cool completely pour into an airtight container and store in the freezer up to 6 months. To serve; thaw on the counter for a few hours or overnight in the refrigerator. Pour into a heavy-bottomed pot and heat over medium-low temp until heated through. Healthy Robust Cabbage Soup, a full-flavored bowl that's healthy and light. Super easy to prepare and totally versatile you can add more veg or even some roasted chicken if you want to! Heat a large heavy-bottomed stock pot or Dutch Oven over medium-high heat. Add the EVVO and heat 30 seconds. Throw in the cabbage, broccoli, onion, carrots, celery, garlic, thyme, bay leaves, marjoram, oregano, sea salt, and black pepper. Stir frequently with a flat bottomed wooden spoon, allowing the vegetables to brown about 15 minutes. Add the stewed tomatoes and vegetable stock stir to incorporate all ingredients. Bring to a boil and then reduce the heat to medium-low cover and simmer for 30 minutes. Ladle into warm bowls and serve with fresh crusty bread if desired. See post for refrigeration and freezer directions. If you are looking for more soup recipe inspiration then be sure to check out a few of our other great recipes! Hi, Deb! 🙂 Thanks so much for allowing us to share on Souper Sunday. So glad that you like our Cabbage Soup!